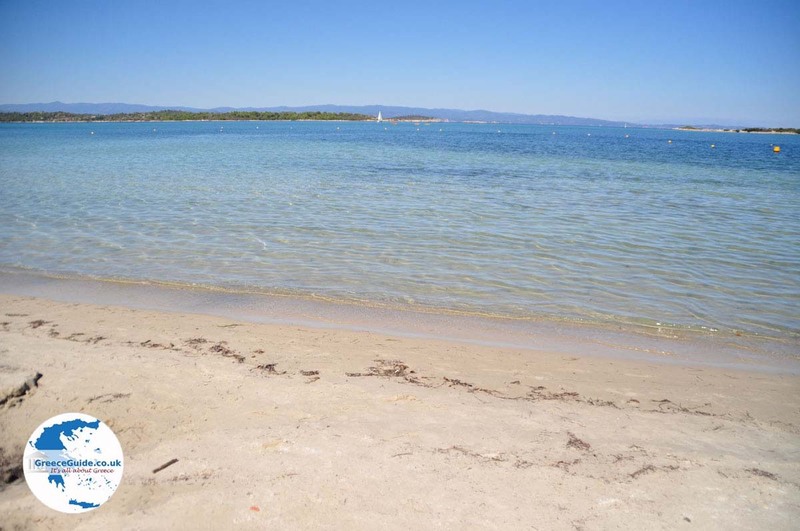 Halkidiki: Halkidiki (Chalkidiki) is one of the most beautiful areas in the district of Macedonia in northern Greece. 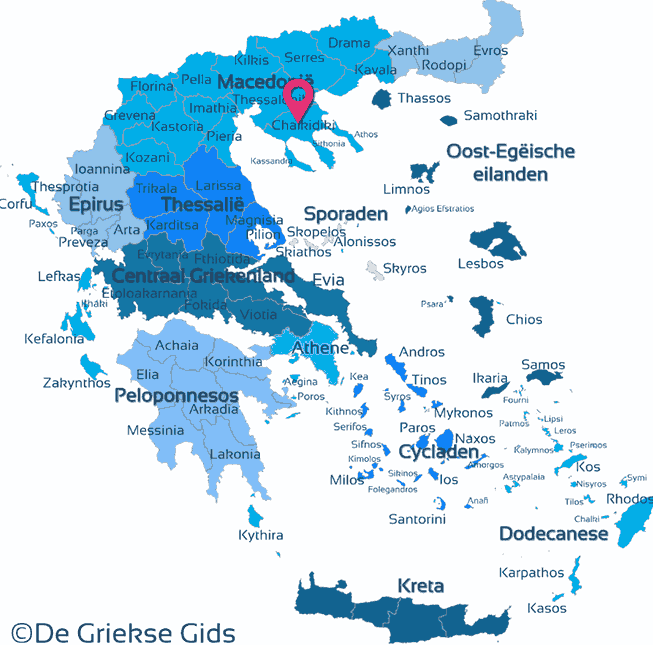 This unique prefecture of Greece consists of three peninsulas that extend into the blue Aegean Sea. The three peninsulas are Kassandra, Sithonia and Agion Oros (Holy Mountain). Although they look alike, they are very different. We visited all three and had a fantastic time. 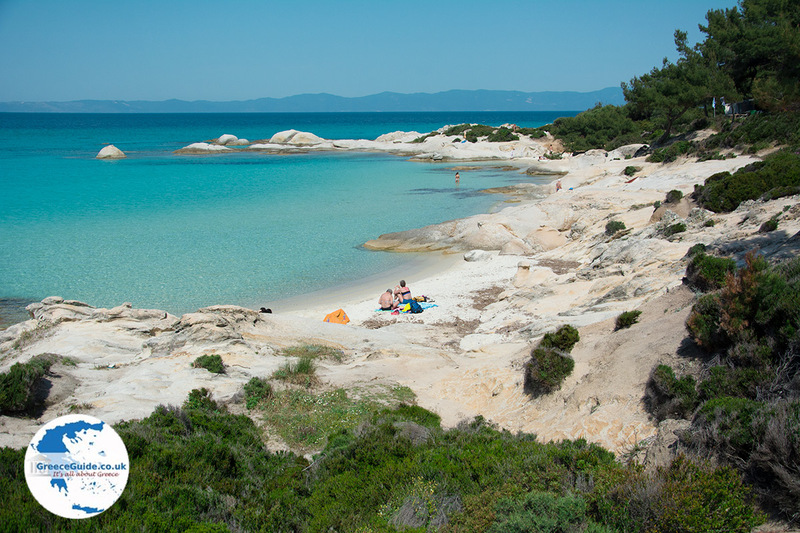 Kassandra is the first leg, as Greeks call the peninsulas of Halkidiki. 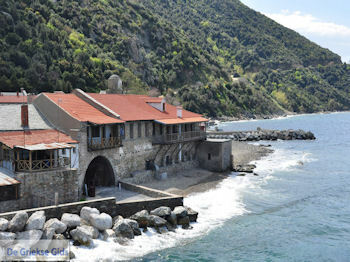 It is the first peninsula you reach when driving from Thessaloniki to Halkidiki. 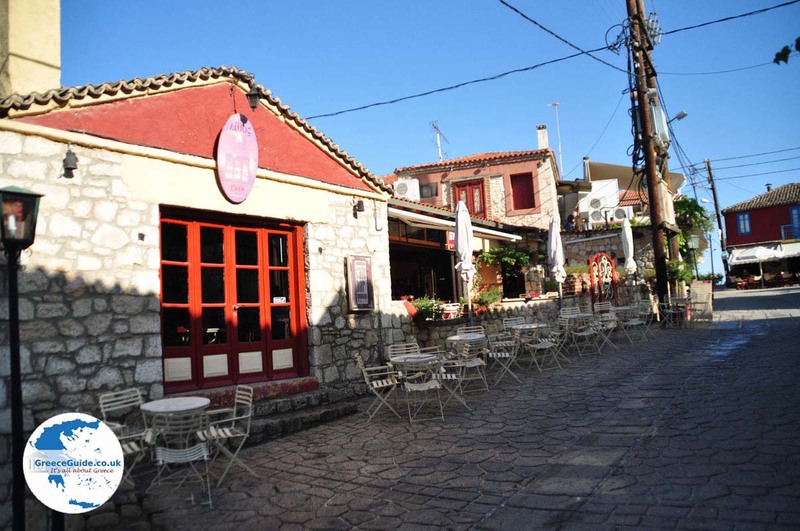 Kassandra is only a thirty minute drive from the airport of Thessaloniki. 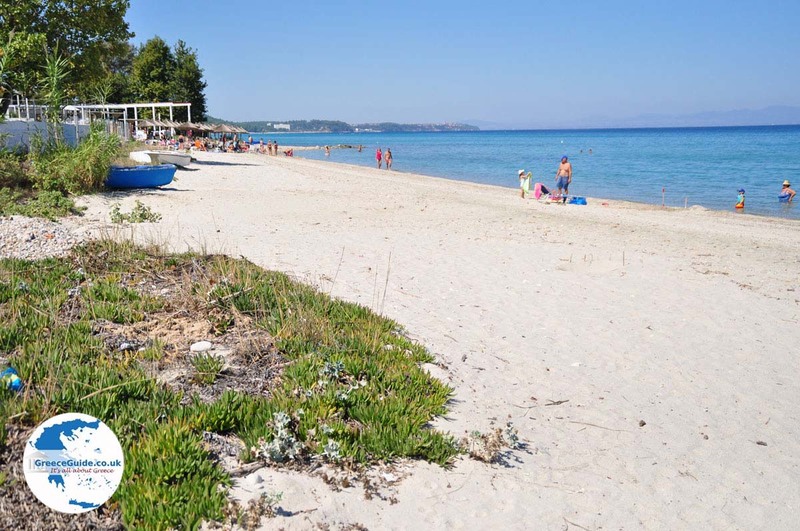 It is the busiest leg of Halkidiki because of its close proximity to Thessaloniki. 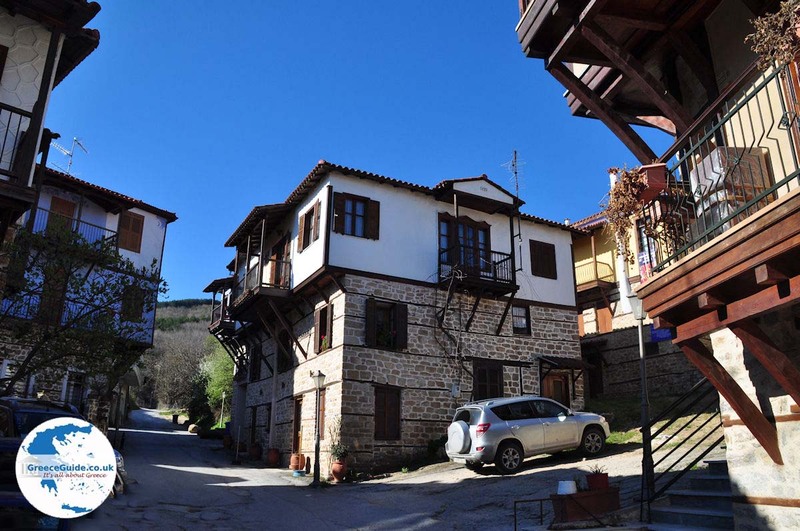 It has rich history, archaeological sites, excellent sandy beaches, beautiful forests, hotels and apartments, hot springs, a good nightlife and plentiful watersports. Even the most demanding tourist will be totally satisfied here. 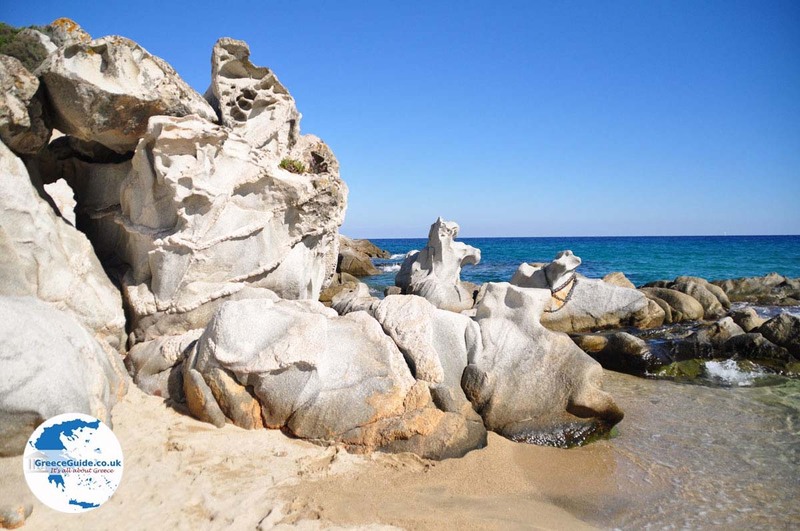 Sithonia is the middle peninsula of Halkidiki or "the middle leg." This area is much quieter than Kassandra in terms of tourism. This peninsula is similar in character to Kassandra. 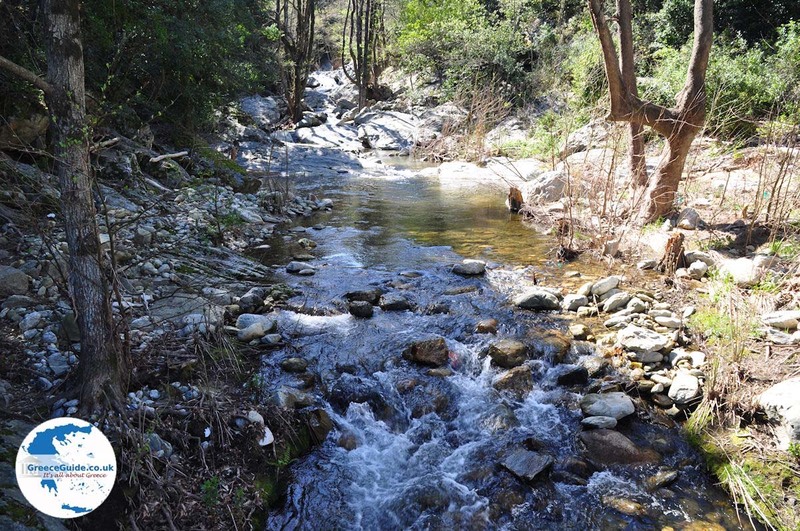 The greatest difference is the nature, which here mainly consists of beautiful pine forests. There are also large vineyards and olive groves, but forests cover the largest surface. 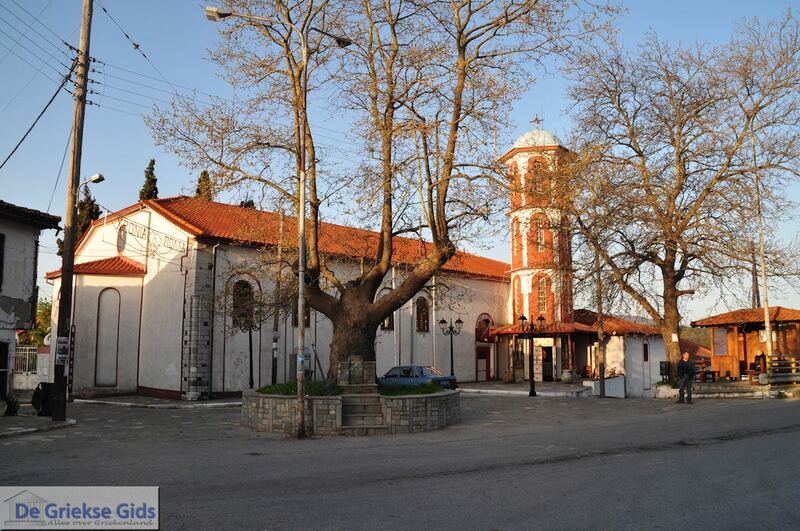 Sithonia is also known for the Porto Karras area, 18,000 hectares (69 sq. 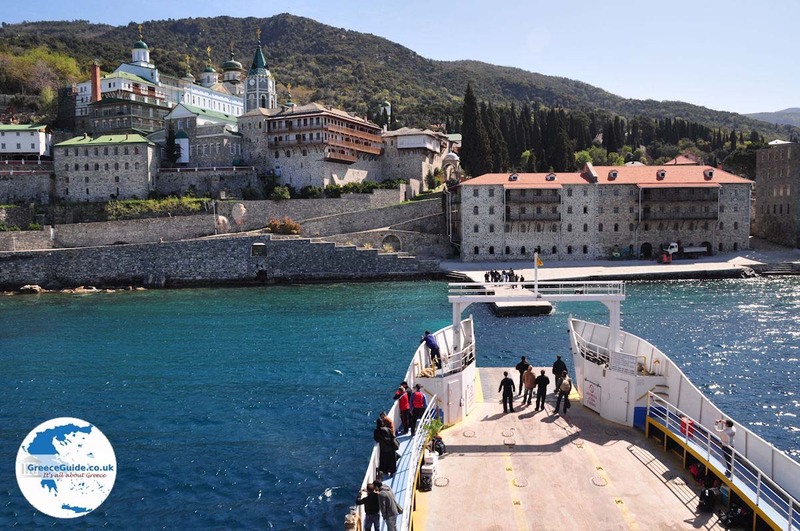 mi) of territory, where vineyards, luxury hotels, pine forests and marinas are located. Last but not least, Sithonia is also known for its rugged coastline with beautiful white sand beaches and turquoise sea. 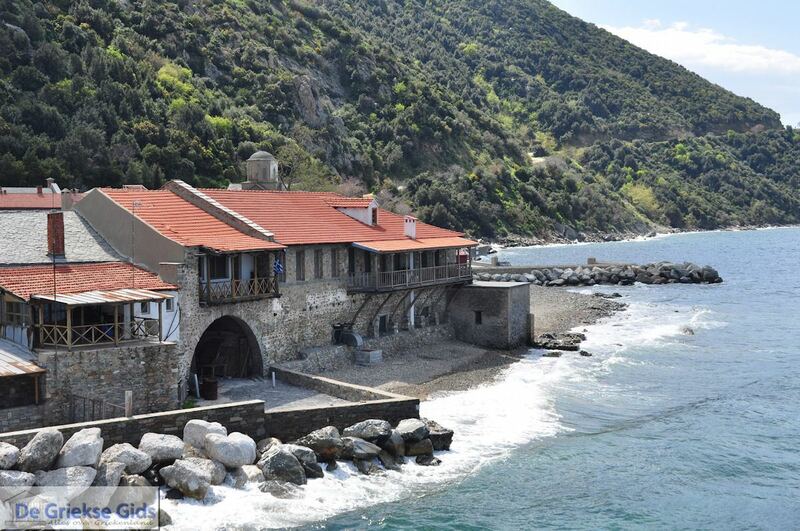 Agion Oros (Holy Mountain Athos) is the easternmost peninsula of Halkidiki. 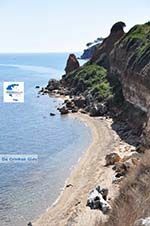 This peninsula is unique. 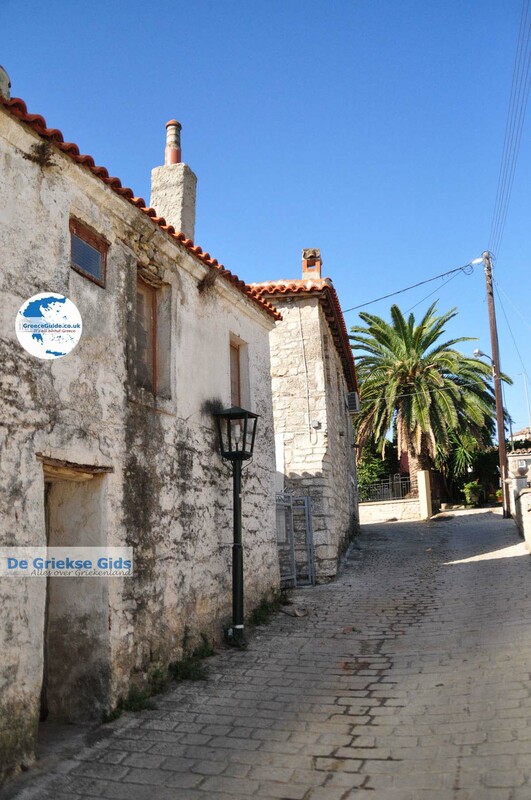 It is situated just below Ouranoupolis, a tourist town with beautiful beaches. 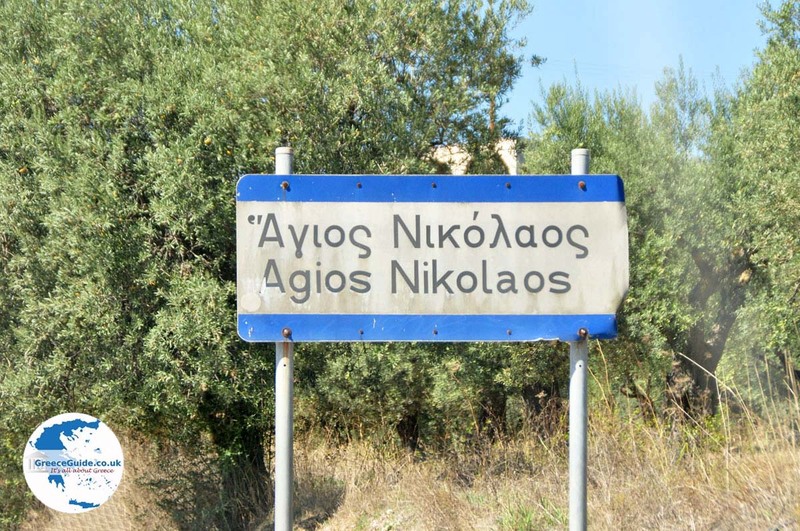 When you pass the town, you enter the world of Agion Oros that literally means the Holy Mountain. 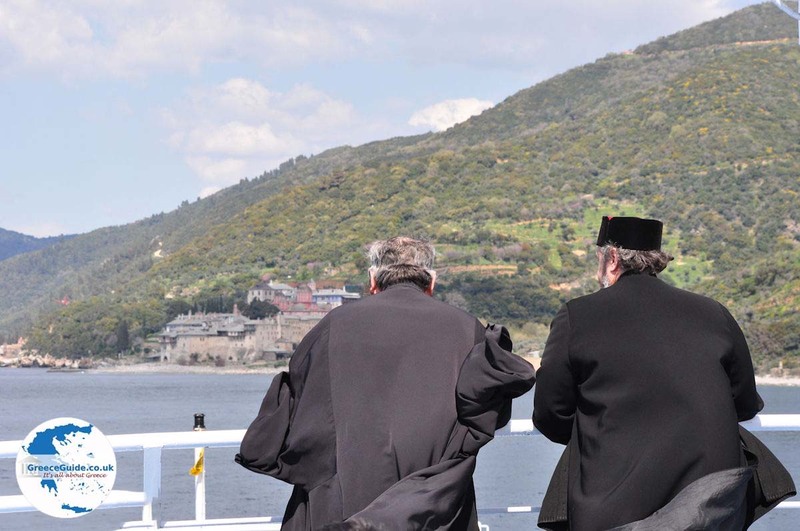 This is a monastic state that is autonomous, within Greece and the EU. The inhabitants are all monks, and women may not enter this area. In the territory are twenty monasteries where monks live in isolation. 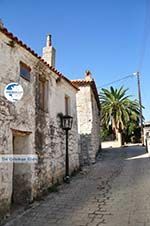 North of the border, from Ouranoupolis, starts the tourist world where luxury hotels, beautiful beaches and lots of sights and villages are found. 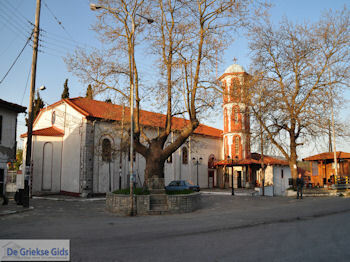 Destinations Agion Oros area: Arnaia, Holy Mountain Athos (Agion Oros), Ammouliani, Dafni (Agion Oros), Gomati, Ierissos, Karyes (Agion Oros), Megali Panagia, Nea Roda (and Trypiti), Neochori, Olympiada, Ouranoupoli, Paleochori, Stageira, Stratoni, Stratoniki. 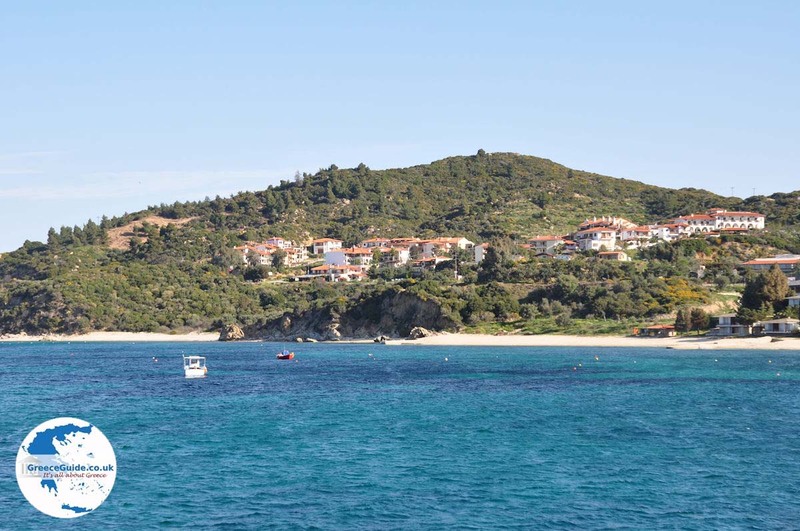 Halkidiki: Where on the map is Halkidiki located?